In the 60's and into the 70's, I will always remember a classmate, Todd Brown, my long blond haired hippie friend with glasses. In first grade and throughout the years he would begin every essay, report, and speech boldly and with his enthusiastic smile, with the same 5 words....."It All Started Like This" By the time high school came along there was only a few of us in on this, unspoken, and unbroken routine. Now back to my story...I found a good quote by Mark Twain,"In a good book room, you feel in some way you are absorbing the wisdom contained in all the books-through your skin-without even opening them." To have had the opportunity to build a library that holds these books has been one of the greatest thrills of my life. I love books, just the look and feel, and like many, have had many great experiences reading them. Your library becomes your university. 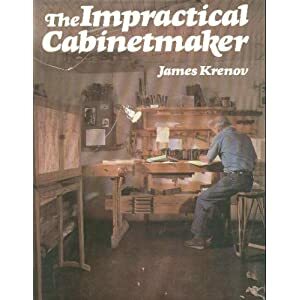 I'll never forget the first book I bought about woodworking in 1979, The Impractical Cabinet Maker-James Krenov. It changed my life. 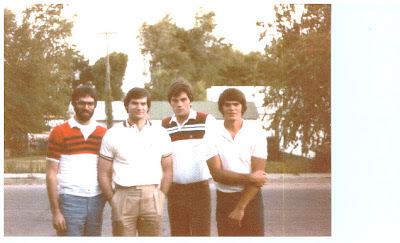 That was 30 something years ago. And that is why when I see that book in my book shelf, I can still see now, in every detail, the journey that book has taken me. It would fill these pages. Let me just paraphrase some of his words. "All the things we are must be in our work. The way you work, the things you do and how you do them, the way you live are in some sort of accord within yourself. You develop a way of living, and if that conflicts with commercial interest, then you must sort it out." So that is what I did. James Krenov is very hard. He is very good. He scared me. He still scares me. I think he scares every woodworker in America. I could not see a flaw in his work. He teaches you so many things about woodworking and life. This was interesting to me because just a year before my Dad had given me the only book I ever received from him. As a Man Thinketh- James Allen, and my Dad was the greatest man I ever knew. He was a fine home builder, a fine carpenter, a fine finish carpenter, and fine cabinet maker, but he was so much more than that. So, the connection was complete for me and I had a deep passion for woodworking and I decided that what ever the circumstance was for me, to just try to improve everyday, and learn, and give your best effort. I've had many failures like many, but like a British bulldog, never, never, never give up. Died July 2000 of a heart attack. I miss him. ﻿Life is confusing sometimes. Decisions, fate, luck, friends, family, circumstance. I love the following observation. Ted Orland, and artist and writer said this, "That ever changing instant of reality we call the present is merely a point in time weaving its way through a universe of potential, we call, the future. One undeniable consequence of this is that everything you learned or experienced in the past has somehow delivered you, at this moment, to this sentence."